We move steadily toward a world with 60% of its population either Muslim or Christian—just 3 decades away, according to demographers. Understanding Islam is a crucial step towards building bridges to our Muslim neighbors. Our recommended books look at Islam, Muslim practice and how to encourage friendship and conversation. Over the past five years tens of thousands of Muslims around the world have given their live to Jesus as Lord and Savior. 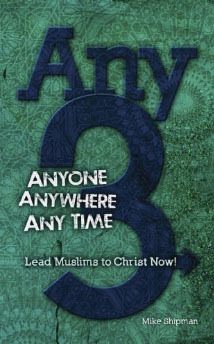 In this book, you will travel into the middle of one of the fastest growing movements of Muslims to Christ. You will see just how and why more than 9,000 Muslims in one Southeast Asian country have said yes to Jesus, and been born again. To tear down walls by giving non-Muslim readers an insider’s perspective into a Muslim’s heart and mind…it is my prayer that be entering my world, you will come to understand your Muslim neighbor, so you can love him as yourself. To equip you with facts and knowledge, showing the strength of the case for the Gospel in contrast with the case for Islam. History powerfully testifies to the foundational pillars of the gospel: Jesus’ death on the cross, His resurrection from the dead, and His claim to be God. Although this book is far too short to share all the facts and arguments I learned over the years…it provides the contours of what I came to grasp and how they led me away from Islam toward Jesus. Over the past five years tens of thousands of Muslims around the world have given their live to Jesus as Lord and Savior. 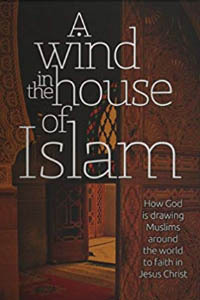 In this book, you will travel into the middle of one of the fastest growing movements of Muslims to Christ. You will see just how and why more than 9,000 Muslims in one Southeast Asian country have said yes to Jesus, and been born again. You will learn how more than 3,400 of these have been baptized into new churches that have reproduced themselves as many as eight and nine times, producing hundreds of fellowships of new believers. Just as important, you will learn how you, too, can effectively bring Muslims to faith in Jesus Christ—anyone, anywhere, anytime. Any-3 implements the simple, natural way Jesus witnessed to the woman at the well in John 4. Any-3 combines bridging, gospel presentation drawing the net into one seamless approach. Any-3 helps witnessing become relational, rather than preachy. This empowers the witness to become competent and confident as he navigates the obstacles that typically arise in a witnessing conversation with a Muslim. 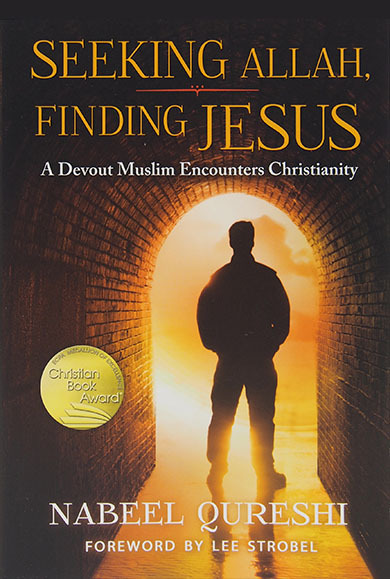 Dr. David Garrison traveled a quarter-million miles throughout the Muslim world investigating Muslim background believer Christian movements, each one with at least a thousand baptisms that have occurred over a two-decade period, some containing tens of thousands of Muslims who are now followers of Jesus Christ. Dr. Garrison’s findings reveal that we are in the midst of the greatest turning of Muslims to Christ in history. Garrison's core question: "What did God use to bring you to faith in Jesus Christ? Tell me your story." The result is the most extensive survey of Muslim movements to Christ ever achieved. Garrison's book is a thoroughly researched, unprecedented look behind the scenes into how God is at work in the Muslim world in the 21st century. Readers will find it inspirational, informative, and challenging. In Seeking Allah, Finding Jesus, Nabeel Qureshi recounter his dramatic journey describing his departure from Islam and his decision to follow Christ. 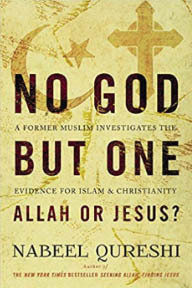 In this follow-up book, Nabeel reveals what he discovered, providing a through and careful comparison of the evidence for Islam and Christianity—evidence that wrenched his heart and transformed his life.